Lawrence, Richard Hoe (1858-1936), Lewisboro, Westchester, New York. 81 Park Avenue, New York. A superlative collector and savant. 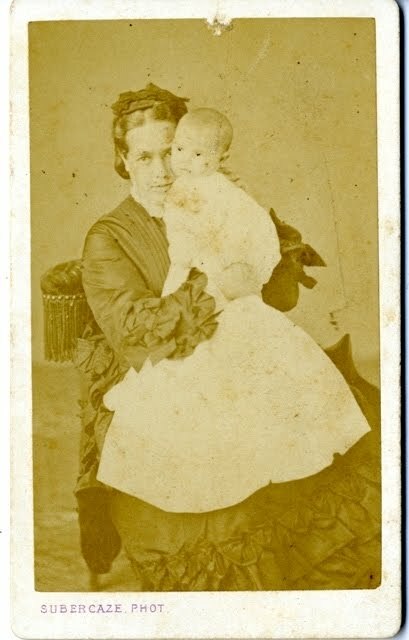 He was born the first child of Cyrus Jay Lawrence (1832-1908) and Emily Amelia Hoe (1834-1909), on March 18, 1858. His parents married in 1856. His father was a wealthy banker and principal of Lawrence Brothers & Co., and member of the Stock Exchange, numismatist and art collector and about 1887 owner of Cyrus J. Lawrence & Sons. The firm of Lawrence Brothers & Co., was formed in 1868 by DeWitt Cyrus Lawrence, Cyrus Jay Lawrence and Darius Lawrence. DeWitt Lawrence was declared insane in 1887 and removed from the firm, and Cyrus J. Lawrence & Sons was formed. 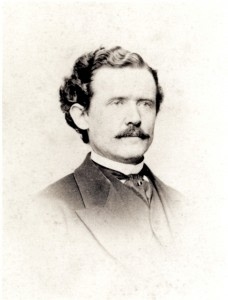 Cyrus Jay Lawrence was also a numismatist and a member of the American Numismatic and Archaeological Society in New York as well as a member of the Metropolitan Museum of Art, the American Museum of Natural History, the American Archaeological Society, the Bibliographical Society of Boston, the New York and Baltimore Municipal Art Societies, the Grolier Club and the Union League Club. He died January 9, 1908. His vast collection of fine art was sold posthumously on January 21-22, 1910 by American Art Association in a catalogue, ART TREASURES COLLECTED BY THE WELL KNOWN CONNOISSEUR THE LATE CYRUS J. LAWRENCE, ESQ., NEW YORK. The sale by American Art Galleries realized $49,255, a disappointing amount considering the rare and valuable works it contained. His mother was the granddaughter of Richard March Hoe (1812-1886) the inventor of the Hoe printing press, after whom she named her son. His great-grandfather Richard March Hoe lived in his mansion "Brightside" in the Morrisania/Hunt's Point section of the Bronx, New York. His brother Robert March Hoe (1815-1884) was one of the founders of the National Academy of Design. His family lived in Paris from October 5, 1872 until September 30, 1876. He and his brother Henry Corbin Lawrence (1859-1919), were educated at Paris, France and upon returning home 1876 and 1877 respectively joined their father's firm, Cyrus J. Lawrence & Sons. Emily Amelia Hoe Lawrence with infant daughter Mary Say Hoe Lawrence in Paris, 1872. Henry Corbin Lawrence (1859-1919), Theodora Lawrence [Mrs. Ralph Oakley] (1862-), Emily Hoe Lawrence [Mrs. W. Scott Day] (1867-), Mary Say Lawrence [Mrs. Albert Webster] (1872-). Among his passions were collecting of all kinds especially numismatics, books, art and journaling these activities through scrapbooking and photography. This passion for collecting was the result of his family's influence having avid collectors of books, art and coins on both his mother's and father's family. As an amateur photographer he was an assistant to Jacob Riis (1849-1914). His artistic flare was towards social realism of the 1880’s sympathetic with Riis’ muckraking by documenting through photographing raw scenes of the social derelicts and decadence of the City of New York foreshadowing the avant-garde that later came with the New York Ash Can School. As a specialist in numismatics he focused on the coinages of the Roman Republic and Early Imperial periods. He was a patron of the ANS in 1906. As an aficionado of art he was a member of the Society of Iconophiles formed in 1895 for the purpose of issuing engraved views of New York City. During his tenure with the Society he served as its president and issued a publication of its History. As a bibliophile he was a member of the Grolier Club. His great-uncle Robert Hoe III (1839-1909), was not only a numismatist but also one of the founders of the Grolier Club and served as it first president from 1884-1888. Richard Hoe Lawrence was the president of the Grolier Club from 1906-1908. His bibliophilic penchant also led him to create an index to the Manuals of the Corporation of the City of New York together with Otto Hufeland. He traveled abroad and stayed in Paris, France during the summer of 1888. He married Jessie Cort (1868-1949), on April 19, 1897 at Manhattan, New York. His relative Robert Hoe Lawrence (1867-1897) was a cause célèbre when he committed suicide at Danville, Illinois by cutting his throat and jumping off a bridge into the Vermillion River. He was an active life member of the ANS since November 19, 1878. He was a member of the Executive Committee, ANS and served as a Vice-President. A donor, in 1878, to the ANS library he became the Librarian from 1880-1886. During his tenure as ANS Librarian he produced the “First Acquisition Ledger” giving an account of the collection with author names, titles of works, donors names, and so forth. The ANS owns two scrapbooks (1859-1907) relating to his coin and medal collecting and scrapbooking activities focusing on numismatics comprising newspaper and magazine clippings. His library was sold posthumously after the death of his wife Jessie in 1949 by Swan Auction Galleries. “Silver Coins of the Roman Republic,” Numisma, Vol. 7, No. 1. Co-authored with Edwin David French, Catalogue of the Engravings Issued by the Society of Iconphiles of the City of New York 1894-1908 (Society of Iconophiles, 1908). Lawrence, Richard H. Numismatic library... to be sold. . .December 28, 1886 ... [New York: G. A. Leavitt & Co., 1886.] 11 p.